Notes: The Klingon D-5 tanker variant is a modified D-5 class that carries eight deuterium tanks on the underside of the primary hull. The weapons and other systems on this variant are considerably inferior to the standard D-5 class. 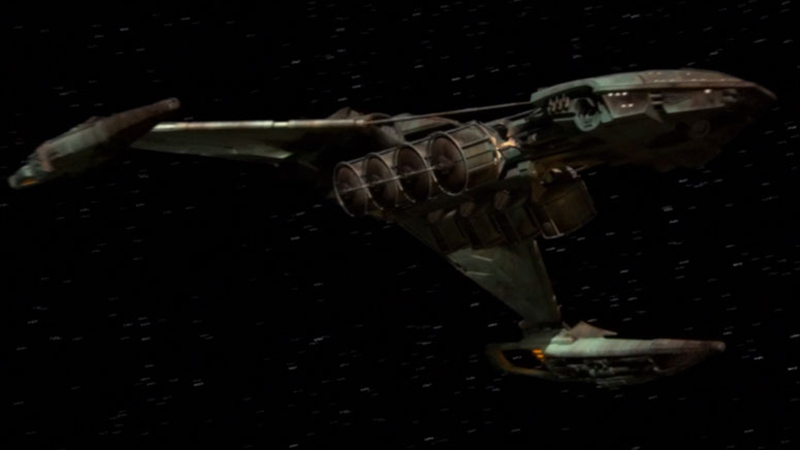 This Klingon design may have been created from retired D-5 classes. It is believed that the more advance D-5 systems on the ship were removed to be reused before being taken out of service, thus this tanker had those systems replaced with older equipment.